Mr Bru Cru: 2014 Spring/Summer Nike Air Max 1 QS Pack. 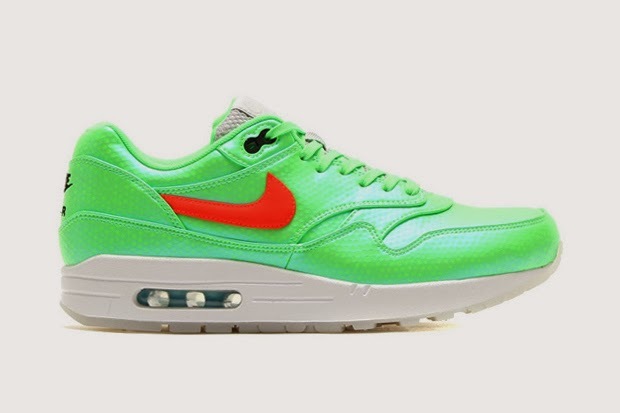 2014 Spring/Summer Nike Air Max 1 QS Pack. Some of the most comfortable sneakers to ever wear that swoosh are releasing a pack of bold colors for this upcoming Spring/Summer of 2014. Nike unveils the Air Max 1 FB premium QS pack. 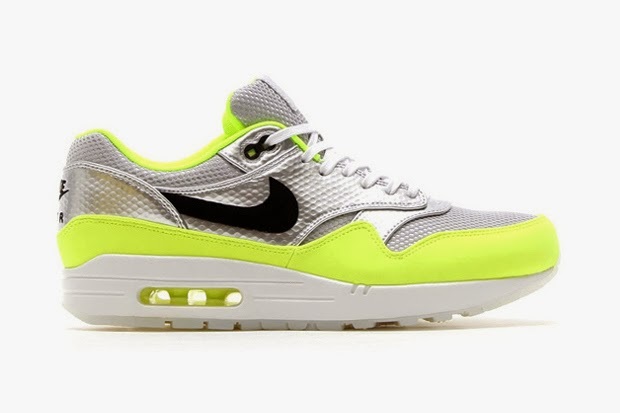 It features a solid silver with a volt green bottom and the other shoe reminds me of a Heineken bottle. All green with a bright red swoosh on the side. You can get your hands on these now if they aren't sold out by clicking here.